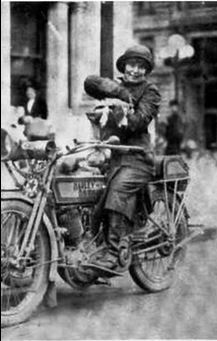 In 1914, three years before New York state constitution granted women suffrage and only eleven years after the Harley-Davidson Motorcycle Factory first opened its gates in a small shed in Milwaukee, Wisconsin, Della Crewe, a 29 young woman with a flair for adventure, took a trip around the world (or around the United States) on a Harley-Davidson bike with a sidecar. 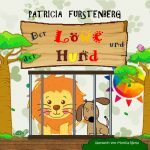 With her travelled her beloved dog, Trouble, a Boston bull pup. 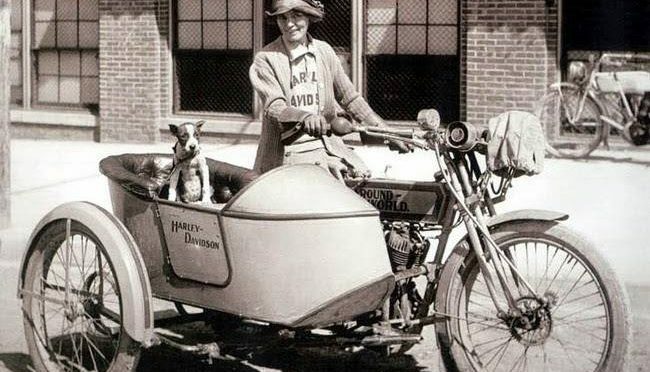 It all started the year before, in 1913, when Miss Della Crewe bought a new 1913 Harley-Davidson single-cylinder bike that she enjoyed riding around her home town, Waco, Texas. Next year she traded the Davidson single-cylinder for a twin, and added a sidecar to it. And she took off. Della Crewe and her dog Trouble. There is a disk brake on the front wheel of her bike – it is actually a Corbin speedometer / odometer. First she stopped in Dodge City, Kansas for a motorcycle race. We need to consider the state of roads in 1914, muddy and sandy and with hidden stumps and rocks. Needless to say, she received a hero’s welcome. It took her eight days. From Kansas she headed for Oklahoma City then headed north, through Missouri, to Chicago. Further to the Harley-Davidson Motorcycle Factory in Milwaukee where she picnicked with the female workers of the motorcycle factory. 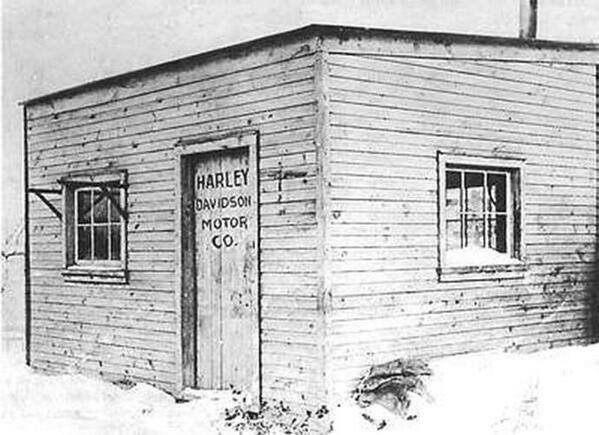 The first Harley-Davidson factory, a tiny wooden shed in the Davidson family backyard in Milwaukee. 1903. Further south she departed, to Indiana. Here the authorities stopped her twice along the road because of hoof and mouth disease cases in the area. 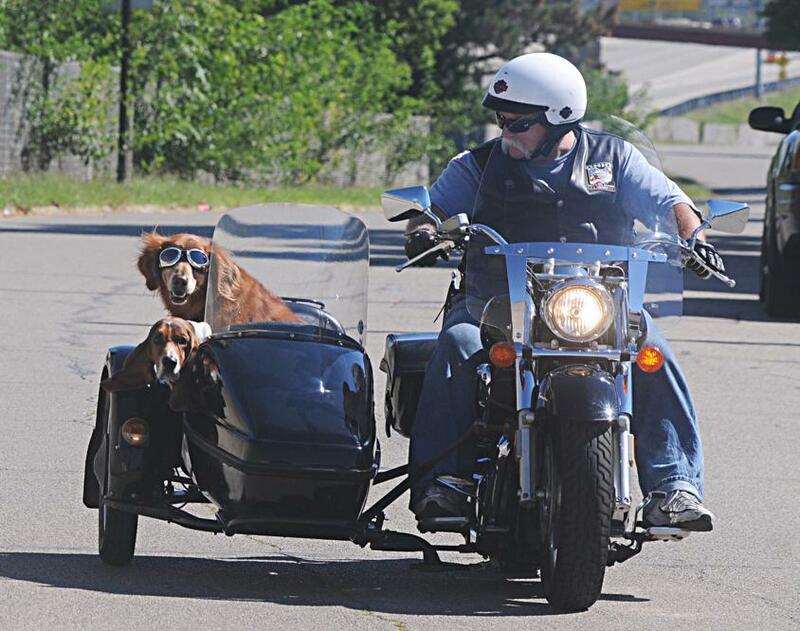 Della had to promise that her dog wouldn’t leave the sidecar. Then on to Goshen, Indiana she went. Here Della and Trouble took part in a city parade before heading to the East Coast to New York. It was winter, 12 December and -10F (-23C!). While Della Crewe had to wear all the clothes she traveled with in order to keep warm, her dog Trouble was cozy in a specially knitted sweater, curled on the bottom of the side car, on his pillow. According to Google Maps, this trip would take 43 h without traffic (2,734 miles) today, driving via US-287 N and US-283 N. We are advised that this route has tolls and that the destination is in a different time zone. A Harley-Davidson, Brave Della Crewe and Trouble the Dog route through US – leg 1. It took Della Crewe from spring till autumn 1914 (and many stop overs along the way) to travel from Kansas to New York. She didn’t stop here. Since World War 1 already started in Europe, she couldn’t take her Harley-Davidson and her beloved dog Trouble across the Atlantic so she headed south, booking passage to Florida. Then she booked passage further to Havana, Cuba where she toured the island, still on her Harley-Davidson. She sailed further south, over the Caribbean Sea to Panama where she visited the newly open Panama Canal, “America’s master work.” Further she visited the island of Jamaica, still part of the British Empire back then. Here she motored to the top of the highest peak. From Jamaica she then hopped to the island of Puerto Rico. She then sailed back home to Florida, then motored to Tampa, then to Atlanta, Carolinas, Washington D.C. and Philadelphia before reaching New York City again. Here she didn’t stop for long, motoring across the US to Los Angeles – where she settled in 1916 for a while longer, working as a manicurist and a shop clerk. 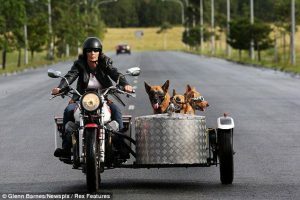 Cool bikers in a side car. 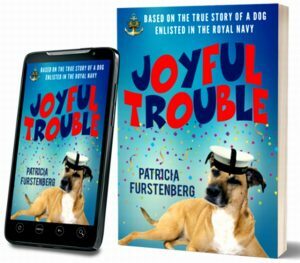 I was pleasantly surprised to learn about Della Crewe’s biking adventures and about her beloved dog Trouble, especially since I, too, know a few stories abut a different dog, a Great Dane, that was enrolled in the Royal Navy and even flew planes during World War Two: Joyful Trouble. 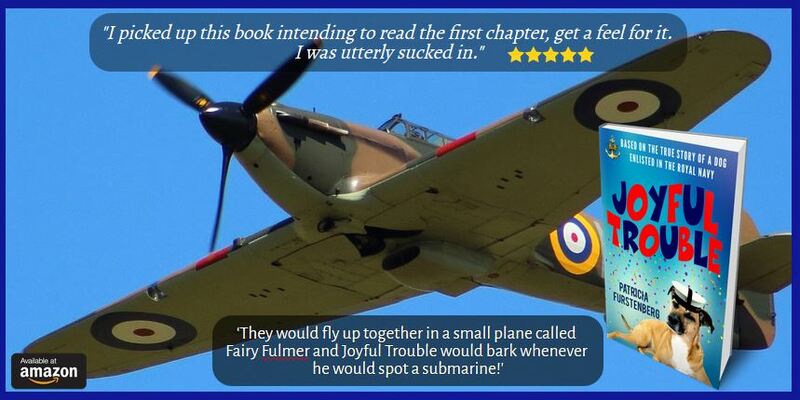 I, too, know a few stories abut a different dog, a Great Dane, that was enrolled in the Royal Navy and even flew planes during World War Two: Joyful Trouble.